There are many aspects of a building that affect its thermal performance. Windows are one of the largest contributors of heat gain or loss and this is determined by the combined effect of the glass, frame and seals. By installing Magnetiteâs energy efficiency windows you will create a comfortable and sustainable environment all year round. Click here to view Thermal Comfort Technical Data. Magnetite uses an optical grade acrylic glazing, which is up to six times more thermally efficient than glass. Our PVC sub-frame used in our double glazing creates a thermal break from your existing window frame while our airtight magnetic seals eliminate draughts. These features allow Magnetite to provide more constant and comfortable room temperature. The resulting thermal comfort means that you will sleep better at night and be more productive during the day. Magnetite double glaze windows will reduce condensation appearing on windows. Reducing condensation can protect the health of your family by preventing mould growth. Less condensation can also prolong the life of window furnishings and sills. Magnetite can help, as part of a holistic approach, to minimize condensation on your windows. For more information on the benefits of double glazing, see our Case Study on Condensation. Magnetiteâs retrofit double glazing is one of the quickest and most convenient ways to upgrade your existing windows thermal performance and achieve significant energy savings at the same time. While windows are a major source of heat loss and gain in a room, there are other considerations to ensuring you create a healthy living environment coupled with thermal comfort. Draughty windows and doors are other areas we can address for you. Properly insulated roofs, walls and floors are also important factors to consider in maintaining the temperature in a room. Adequate ventilation will also help improve the quality of air and help reduce excessive moisture and mould build up. For the best results a holistic approach is recommended. 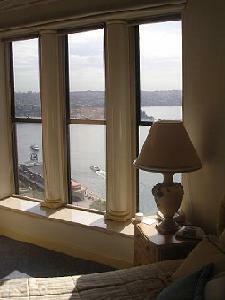 We are Australiaâs leading retrofit double glazing specialist. In addition to our vast experience insulating residential homes we have also been involved with thermal insulation projects for hospitals, hotels, commercial offices and government buildings. Our broad range of experience extends to initiatives such as the Solar Schools Program and Building the Education Revolution. Our franchise network brings a wealth of expertise from projects across Australia and New Zealand throughout diverse climate zones.